To Create a Fusion Reactor you will need to firstly find a Gravitational Anomaly. Then put a Fusion Reactor Controller and follow the guide blocks. Put 3 Fusion Reactor Coil on each straight side of the circle. Decomposer can be directly put on each side of the Fusion Reactor Controller. Then fill every other block with . 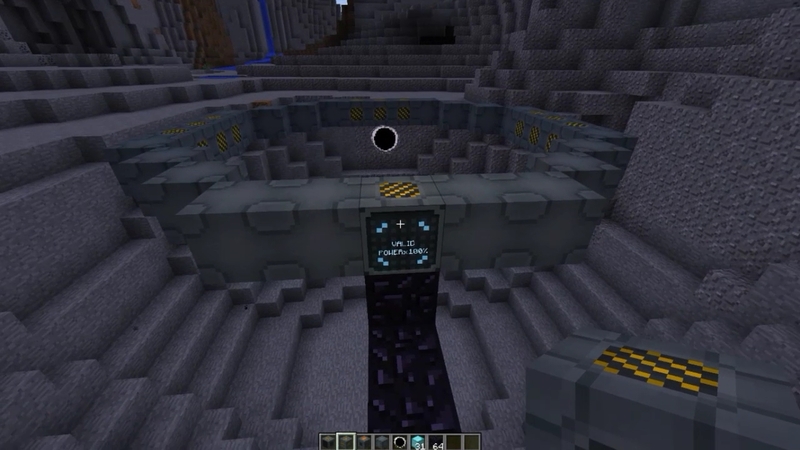 Once placed the reactor will show a circle filled with guides, that you can follow to complete the reactor. The reactor can be placed in either a vertical or horizontal orientation. This is done by rotating the Fusion Reactor block by either placing it from below or using a Tritanium Wrench. The reactor can also share its blocks with other reactors, this means that you can build a sphere consisting of vertical and horizontal reactors. Once the Fusion Raector is complete, provide it with Matter to start producing energy. Hooking up 2 replicators on the left and right of the Fusion Reactor Controller and jump starting them with a battery, will enable the Fusion reactor to begin producing energy and charge the decomposers themselves. After that you will only need to feed in Plasma Matter. The more massive the Gravitational Anomaly the more energy will the Reactor produce.